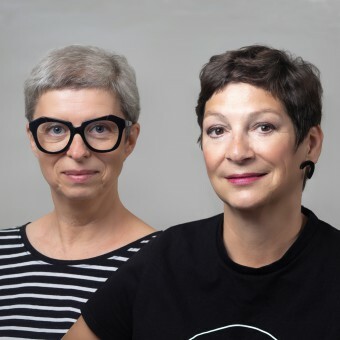 About Olina Francova and Jitka Arazimova : The design studio Franco Arazzi was founded by two independent female designers, Olina Francova and Jitka Arazimova. 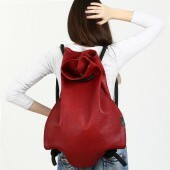 Together, they created multifunctional leather handmade handbags under new brand Multibags, which can be worn in several different ways - as a bag, packpack, handbag, purse, letter-bags... Furthermore, the Franco Arazzi studio is not focused only on the field of fashion but also on the social nonprofit project, e.g. "ChemoHats" - design of ‘bare head’ hats for women after chemotherapy; or "Handibags" - designs created especially for individuals with various types of physical disabilities according to their needs. The studio Franco Arazzi is based at Prague, Czech Republic. We confess to sustainable "slow fashion" that for us means rational approach, high quality raw materials and local production - we create and sew ourselves the Multibags which are multifunctional, last long, and provide playful approach to life. ystoupeni-london-fashion-week/ , March, CZECH REPUBLIC. on-week-a-franco-arazzi/ , March, CZECH REPUBLIC. on-week , March, CZECH REPUBLIC. ady-to-wear/oxford-fashion-studio/collection , February, GREAT BRITAIN. 2018, "A'Design Award & Competition", p. 180, DESIGNER PRESS, Editor: Onur Mustak Cobanli, COMO/ITALY, ISBN 9788897977285. 2013, "Smalt ve výtvarné tvorbě: Historické a současné techniky", p. 65 - 68, Grada Publishing, PRAGUE/CZECH REPUBLIC, ISBN 9788024787442. Press Members: Request an exclusive interview with Olina Francova and Jitka Arazimova.